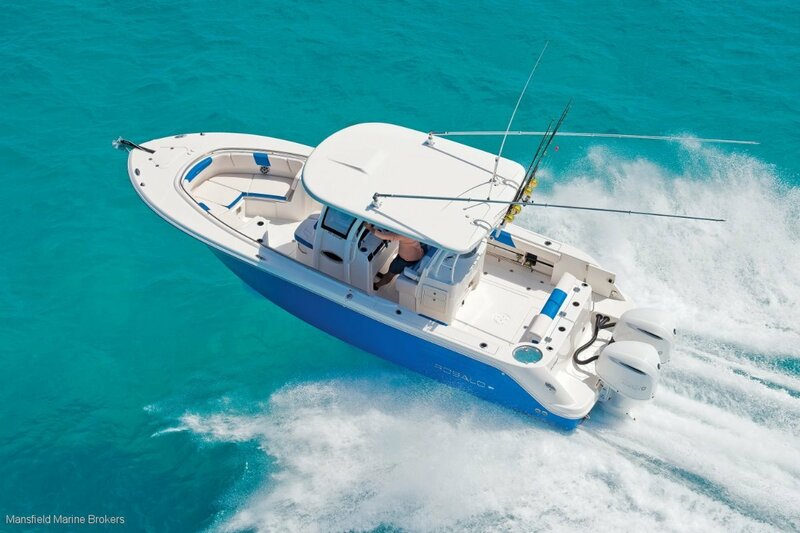 The R302 is offshore fishing at its best. Big beam at 3.2mtrs, solid build at 4050KG dry it is about 1000Kgs heavier than most others in this market, which means more boat for your ride comfort and $$. 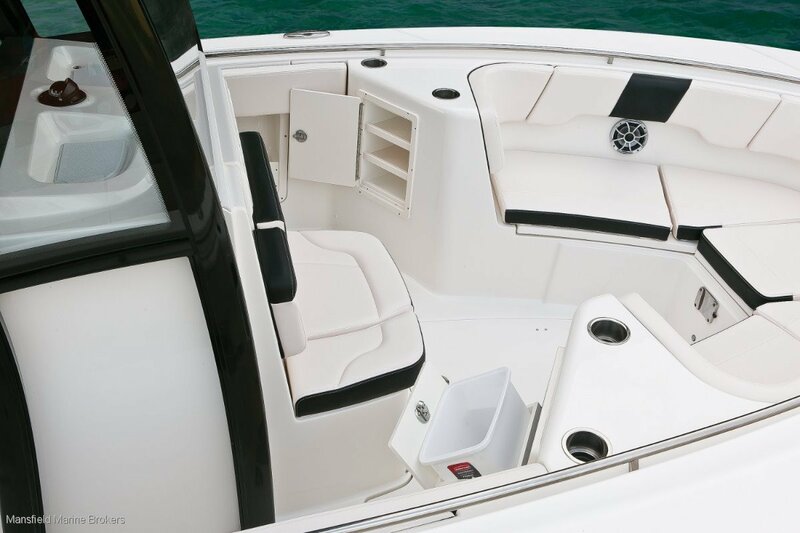 With your choice of engine brand up to 700 HP and a massive standard build list that includes the hardtop and importantly the best materials and construction in the world today. With a massive dash area suitable for two 16" screens and easily the best ergonomics with every switch in the exact right place, the R302 is modern and practical with way a higher standard feature content than its rivals. 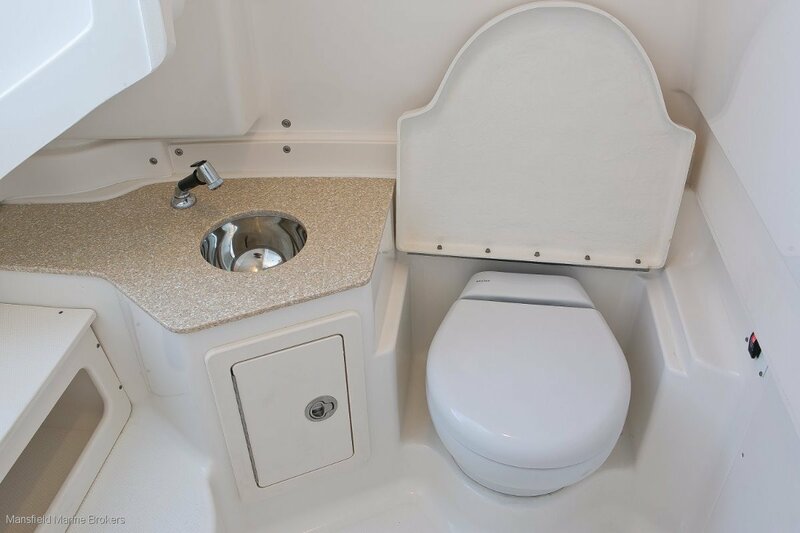 Features that the others can't offer such as the massive 1100 litre fuel capacity to get you out to the shelf faster; and a below deck toilet cavity big enough to stand up and shower in. 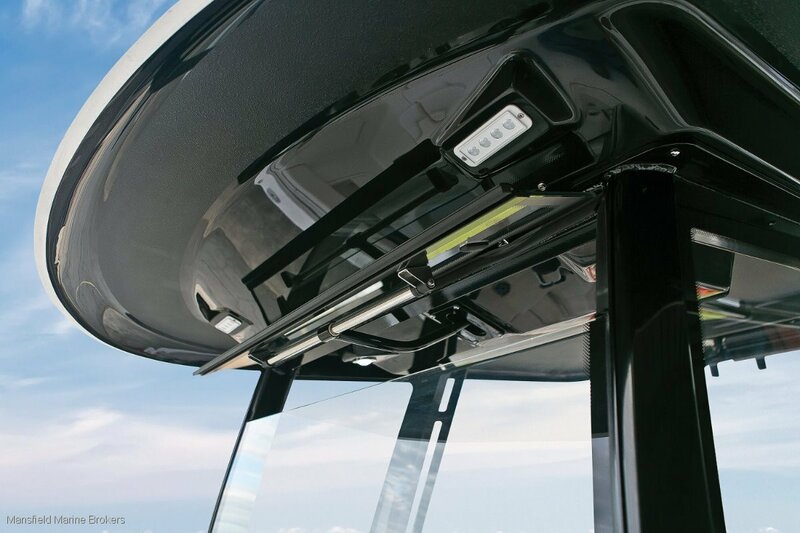 The latest big offshore machine from Robalo deserves a look, when you make the comparisons you will be pleasantly surprised. 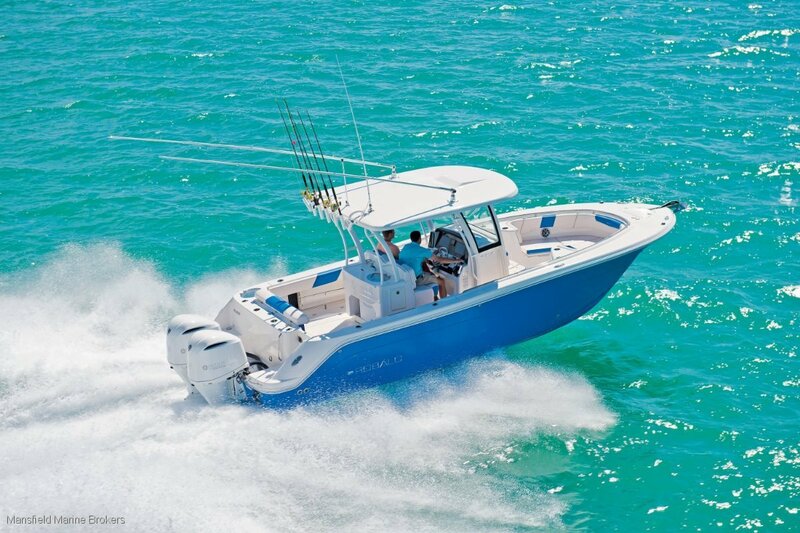 ROBALO is an ICON in the fishing world having been built since 1968. 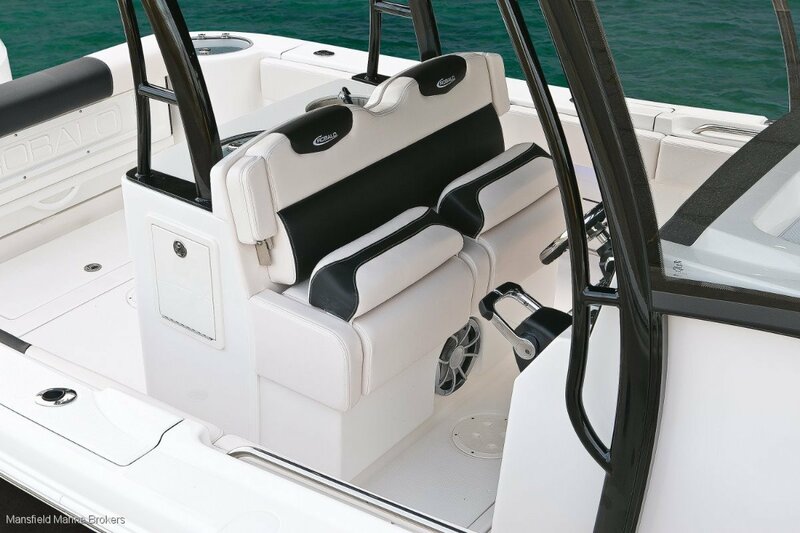 From day one, Robalo has enjoyed a reputation for building a solid, seaworthy boat, utilizing the world's finest materials and design innovation. 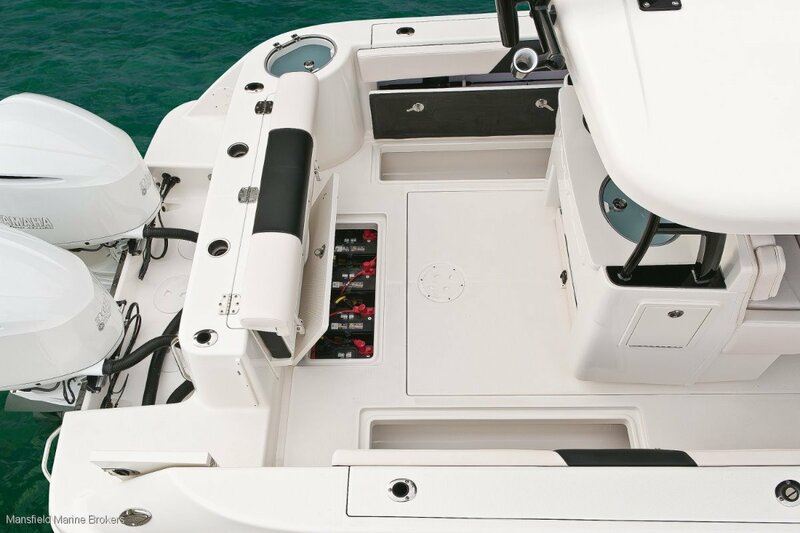 With a hand laminated hull with premium bi- and tri-axial fiberglass, Robalo does the competition one better with Kevlar reinforcement, creating the strongest and best power-to-weight ratio in the fishing world. Innovative composite corings and state-of-the-art materials create a 100% rot free construction. Poured ceramic composite transoms offer three times the tensile strength of rivals. Closed cell foam flotation exceeds minimum NMMA requirements. Phenomenal overall performance. 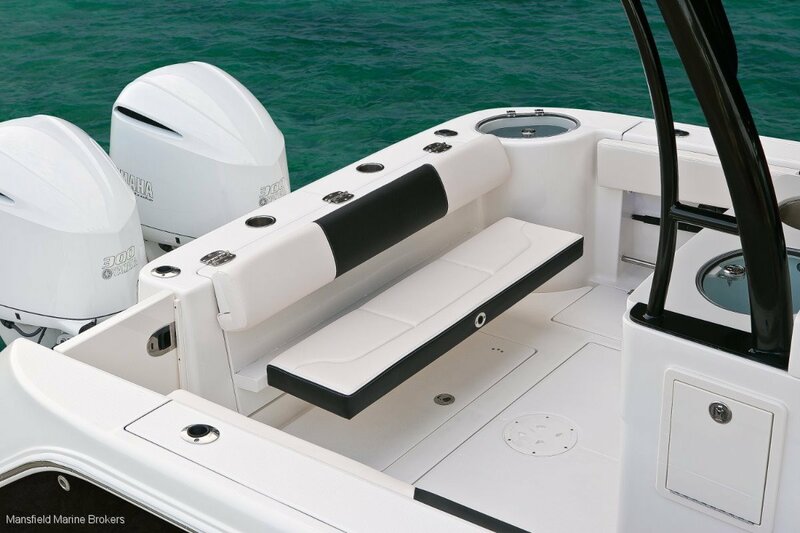 Dry ride from the 21' v bottom hudro lift hull with best-in-class features. 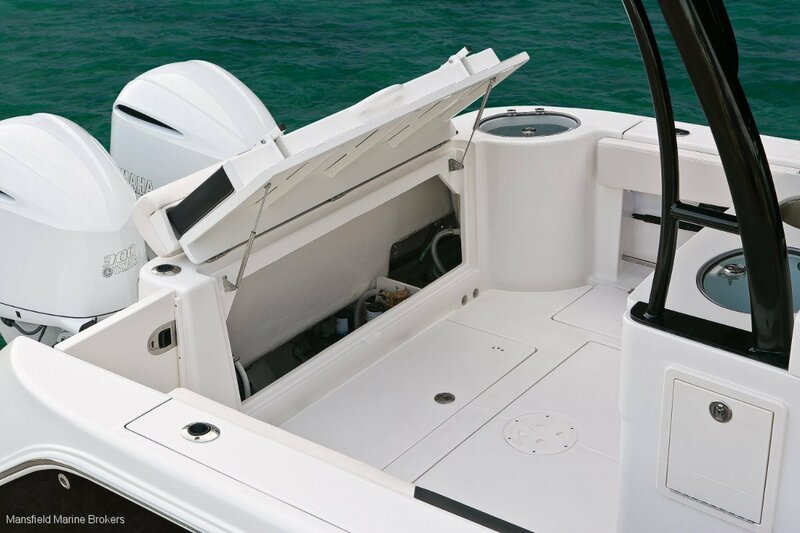 Combine a Kevlar-reinforced hull with a 10-year limited hull warranty and 5-year component warranty, you will enjoy complete piece of mind. 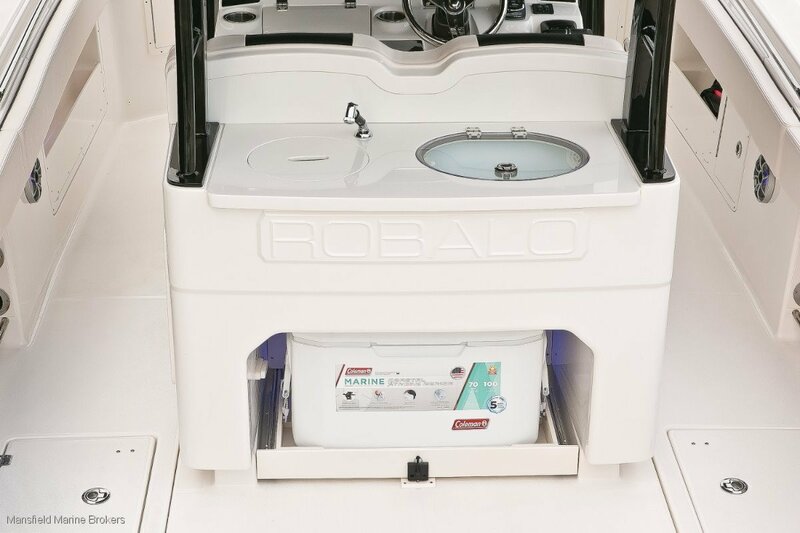 Contact us at Mansfield Marine your WA ROBALO DEALER on 94481100 or Travis Mansfield on 0419911560 for a quote. View robalo. 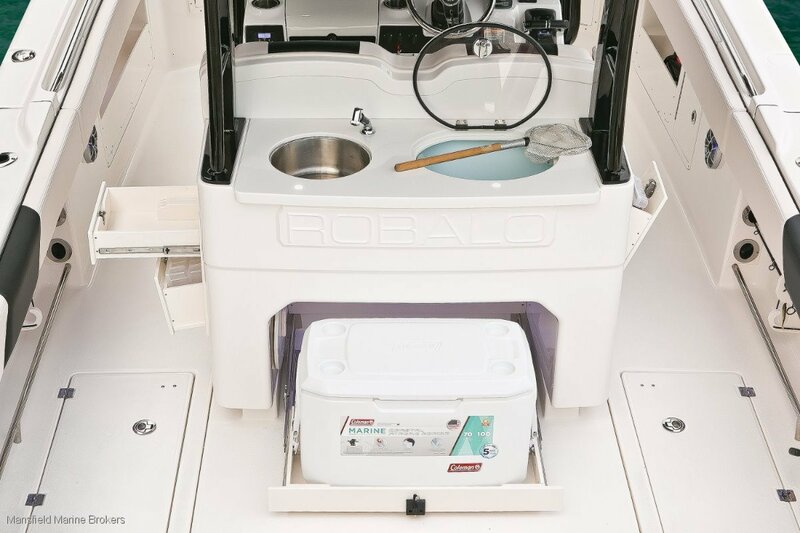 Com to see the the many models and options that Robalo have available. 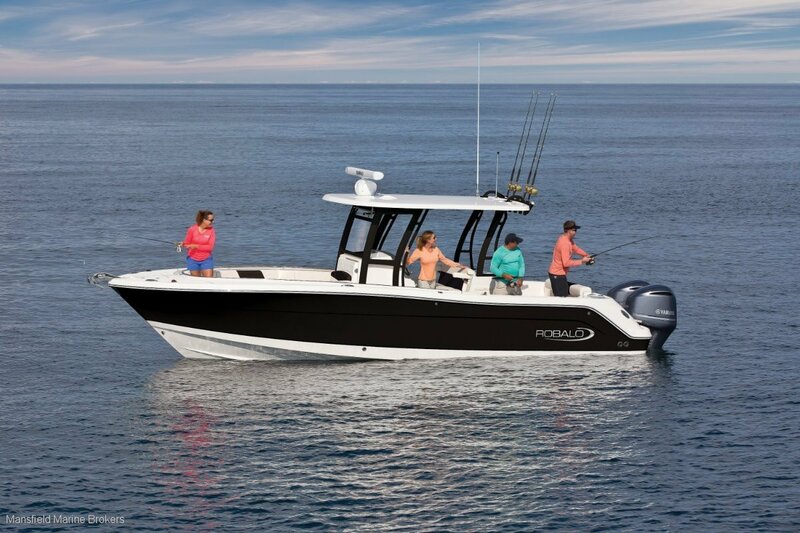 We also have delivered many NEW Robalo's into WA over the past few years so if we dont have one in stock to see then we have a range of models available to view by appointment. 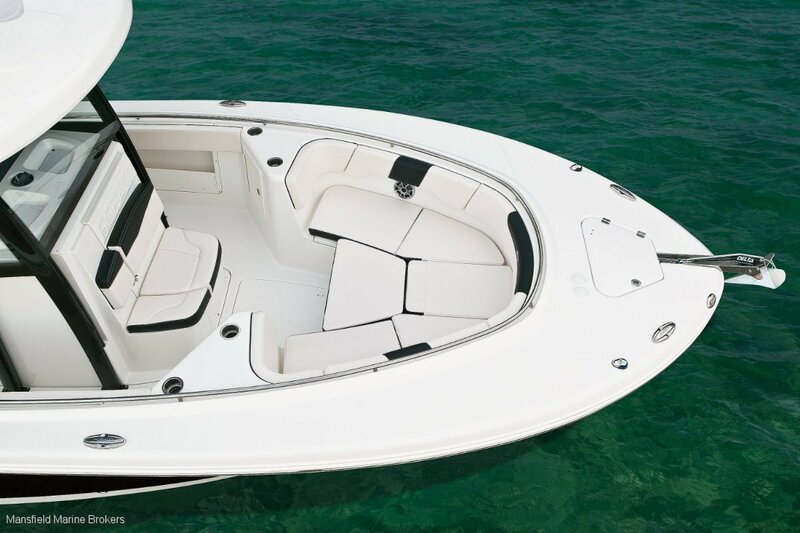 Your choice of brand up to 2 x 350HP. 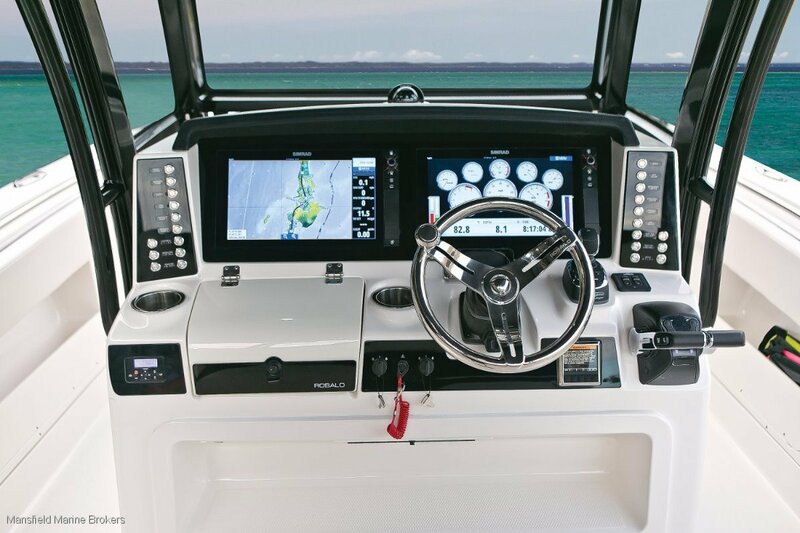 Indicative price of $282,000 is for 2 x 250HP Yamaha engines. Stereo with 4 speakers and bluetooth. 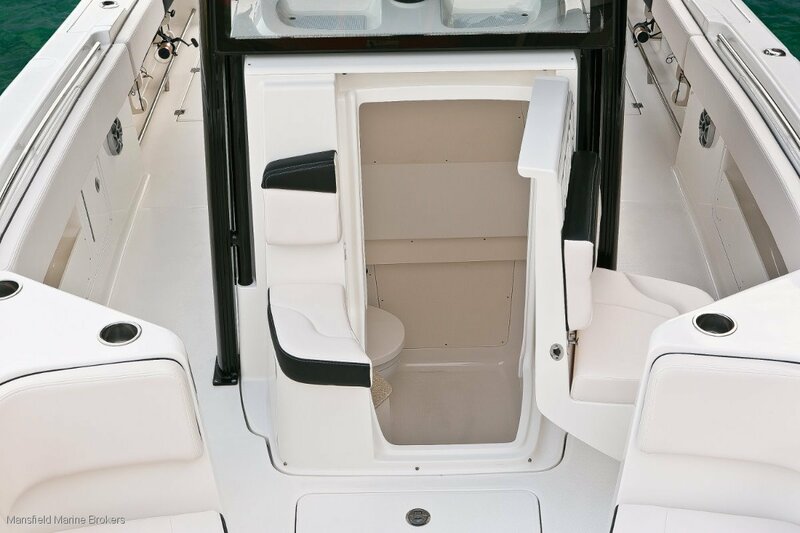 Contact MANSFIELD MARINE W for a quote on your specific requirements. 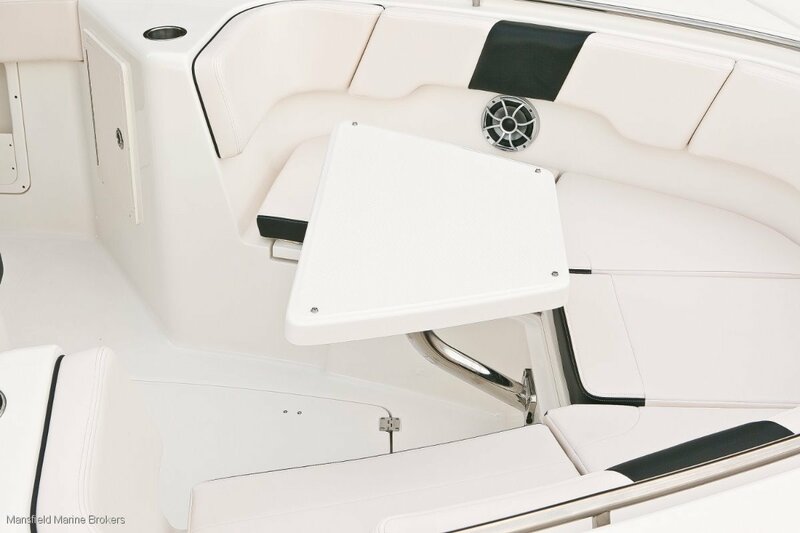 There is a huge range of options and colour choices available from Robalo or aftermarket options can be provided by our in house team of Shipwrights.